Allen Toussaint performing in New Orleans. When Allen Toussaint was 17 he subbed for Huey "Piano" Smith with Earl King's band for a show in Prichard, Ala., and he never looked back after that. Years and countless classics later, following a Nov. 9 concert in Madrid, the New Orleans legend passed away at the age of 77. For 60 years he ruled New Orleans as a player, songwriter, producer, arranger and recording artist. Toussaint's impact stretched beyond his hometown to the rest of the country and even across the pond, where artists recorded his songs and -- in the cases of Paul McCartney and Elvis Costello -- collaborated with him. "Of course I love to just sit and play the piano, but I like producing because 'cause that comes with arranging and making the whole thing work," Toussaint told Billboard during a 2008 interview. "There's a certain kind of magic that happens whenever you work with someone, so I consider the whole process just a marvelous undertaking. I appreciate everyone I work with." Venus and Mars, Wings (1975): When Paul McCartney came to New Orleans to record Wings' fourth album, he called Toussaint to play keyboards and help with horn arrangements. "He knows a lot about New Orleans music, and if he was gonna do something with some of that feel he wanted to come down here where it all was," Toussaint recalled. "I must say he did it in very fine form and was just a wonderful human being as well as a superb musician and producer. He had his whole schedule mapped out very well, and where he thought I was applicable he used me. I was glad he did it that way; there was no extra thing for me to do at all!" This story appears in the January_February issue of Relix. To subscribe, click here. On Nov. 10, 2015, the legendary New Orleans musician Allen Toussaint suffered a fatal heart attack at age 77 after performing a show in Spain. News of his passing elicited moving tributes from a global collective of fans, friends and collaborators, such as Paul McCartney, Paul Simon, Questlove, The Rolling Stones, George Porter Jr., Aaron Neville, Jim James, Nicholas Payton, Dead & Company, and the New Orleans Saints. All expressed deep remorse at the loss of “The Southern Knight,” who left his mark as a songwriter, producer, arranger and gifted pianist. Toussaint began his career while still a teenager, filling in on piano for Fats Domino during a recording session, and he would go on to receive the National Medal of Arts from President Obama in 2013, following a Rock and Roll Hall of Fame induction 15 years earlier. Toussaint was a singular artist of his generation, penning enduring songs like “Working in the Coal Mine,” “Southern Nights,” “Sneakin’ Sally Through the Alley,” “Get Out of My Life, Woman,” “On Your Way Down,” “Motherin-Law,” “Fortune Teller” and even “Whipped Cream,” which became ubiquitous via Herb Alpert & The Tijuana Brass on The Dating Game. Working at his base of operations in New Orleans, he wrote and produced music by Ernie K-Doe, Lee Dorsey, Patti LaBelle, Randy Newman, Joe Cocker, Albert King and The Meters, who also served as the house band for Toussaint on Dr. John’s In the Right Place and Desitively Bonnaroo. He created the horn charts used by The Band on their Rock Of Ages album and appeared on Paul McCartney’s Venus And Mars record. Jerry Garcia, The Who, The Rolling Stones, Bonnie Raitt, Phish, Robert Plant and Alison Krauss, Little Feat, Robert Palmer, Aaron Neville, Warren Zevon, Glen Campbell, Widespread Panic, Devo and many others also covered his music over the years. Costello, who describes Toussaint as “a prince in a thin disguise,” proposed that they collaborate on a new record. The resulting album, 2006’s The River in Reverse presented a number of Toussaint standards, as well as material that the pair co-wrote for the occasion. At the time of this previously unpublished interview with both musicians, which took place in the summer of 2006, Toussaint was optimistic about the possibility of moving back into his home, which had experienced severe flood damage during Katrina. He predicted that “before the year’s out, I will be back permanently in New Orleans, when my house is livable again. On every lawn in my neighborhood, the neighbors have a trailer parked on the grass. So that means that they’re in those trailers, living in them and working on their houses. So I think we’ll all be back up and running around the same time— possibly in September but more likely in October.” It would be nearly eight more years before he was able to make a permanent return to his beloved home city. I attended one of your solo performances at Joe’s Pub in 2005, where you mentioned it was the first time you’d ever played in such a context by yourself. That surprised me. Allen Toussaint: Yes, that was the very first time. I don’t recall, over the years, really being invited to do so. I did go out on a songwriter’s tour [in 1993]. That was with Guy Clark, Michelle Shocked and a few other folks [including Sonny Landreth and Joe Ely]. We were out for a couple of weeks doing a songwriter’s thing, but aside from that, no, I hadn’t been onstage alone doing that, ever. Elvis Costello: I saw Allen three or four times at Joe’s Pub. The thought of the Allen Toussaint songbook record that was the beginnings of The River in Reverse came to me during one of those concerts. Hearing Allen from show to show, maybe sing a song one week and then maybe play it instrumentally the next week, helped me hear the musical possibilities in many of those songs. Not that I necessarily really selected any songs based on that, because all of the songs are songs that I’ve loved for a long while. “What Do You Want the Girl to Do?” is a very beautiful song that we didn’t end up including on the record, but I’ve enjoyed performing it with Allen. There’s an openness to the song, a lyricism, that’s missing from even the great hit record versions of it. [Ed. Note: Boz Scaggs, Bonnie Raitt and Lowell George all recorded it.] They sort of contain the song within a framework to carry it out to an audience—“Compromise” isn’t the right word but it’s the same kind of exchange that a songwriter has to accept. But performing it live, it’s a much freersounding song than most with a different kind of quality and potential. It’s like if you compare the lyricism and the picture-painting and magic of Allen’s version of “Southern Nights” to a bunch of people responding en masse to Glen Campbell’s rendition of it. Glen Campbell put a beat to it, which carries the idea of the song, or one version of that melody and the sense of that song to a mass audience. But, by far, the more multidimensional version of that song is Allen’s own rendition, particularly as he’s performing it now in solo concerts. It’s a magical thing; it’s a really magical song. It has so much more in it than one would ever guess from a brief acquaintance of the same song on the radio. Allen, you’ve described New Orleans as a garden of music. How would you characterize the various elements that comprise that garden? AT: There’s the influence of the street parade— those brass bands and those big bass drums that don’t depend on 1-2-3-4 but a lot of syncopation and putting the accent in a different place this time and then jumping it to another place the next time. The tempo in which it operates has a certain kind of strut, which is right in line with the pace of New Orleans historically. It’s a little above medium strut, rather than speeding like the rest of the United States. It’s the New Orleans strut. I also think the Second Line Brass Band parades have a lot to do with it—the influence of the Mardi Gras Indians, even though they really only show their stuff and their wares mostly on one day and one night a year. But they are who they are all year round, and wherever they are, that is alive in them, whether it’s being portrayed outside or not. The frenzied beat that all of the percussion instruments partake in when they celebrate—it’s quite a New Orleans thing that lives on and off. Also the locale of New Orleans, we hold on to the old-world charm a little more than others. It took us longer to build skyscrapers than anyone anywhere else. We were afraid for a long time because our ground was so soft. And we held on to the upright bass when all of the other rockers were going to the electric bass. We were still playing with the small, twin-reverb amps when the rest of the guitar industry had gone to much larger blocks. We held on to acoustic life even, I might say, much longer than other places. When you think of the true historic dominations of New Orleans from different periods, even though it’s always associated with the French, a lot of that ironwork and grillwork around New Orleans is Spanish. So there was a strong element of strumming guitars and trumpets and brass going on as an undercurrent for our history, so I think those elements are largely responsible for why we are who we are. In terms of New Orleans history and your own development as a piano player, you’ve always been quite articulate in speaking about the legacy of Professor Longhair. Can you share some thoughts on him? AT: He’s a very important pianist and artist of New Orleans, and he’s more unique in that he doesn’t sound right in line with many other genres. Even though many people have their own styles, they usually fall under one thing or another. Sometimes a blues player is known for a certain kind of slow blues. A boogie-woogie player plays variations of boogie-woogies, and they all have that muscular feeling. But there seems to be a Professor Longhair way of playing that doesn’t go in any of the other file cabinets. It’s very enjoyable and it’s very indicative of New Orleans with this kind of strut. It takes liberties and it’s just wonderful and exciting, and it has been a great inspiration to me. EC: One of the things that made Professor Longhair so fascinating to me is that without being self-conscious or protesting about it, his pieces seem to resonate on the foundation of a world of music, which is not all laid out there and analyzed. This is probably even more true of Allen’s work because it’s embraced all of that and then some other things that have come along later. If you take, as an example, the piece “Tiptina,” Allen’s transcription of “Tiptina,” it was like a curtain that came back and you could see into a world from a long time ago. [Ed. Note: Using Toussaint’s transcription as a starting point, Costello wrote the song “Ascension Day.”] One of the things that I find unique about New Orleans music, as distinct from every other place in America, are the layers and layers of culture that come from the unique history of the town. You hear the French and the Spanish, the street music, the Mardi Gras Indian music, the Creole music and the French opera—all mixed up. So you have this blend, and it’s hinted at in just in a phrase or two, here and there. What sort of tension do you feel, in terms of perpetuating that legacy versus engaging new forms of music? AT: That has been a part of my thought process—how to move it historically. I have made a deliberate effort to do that. I can recall sometimes taking on the attitude of: “Now that I have this music here, I can move it someplace else.” However, I just think that it grows naturally as evolution takes its course. I rather like it that way, without it being too much of an intellectual process. As time goes on, you grow and the world grows around you, even though New Orleans grows at a different pace and maybe not in the same direction. The new songs that the two of you composed for this album fall within the New Orleans traditions of bearing witness and celebrating life. How conscious were you of striking that balance between explaining what happened following Katrina and just embracing the sounds of New Orleans? AT: You can hear all of that in there. That’s a very good description. Messages in this music come through, loud and clearly, and I’m glad to say beyond Katrina. I certainly feel that it has to do with more than the magnifying glass that this catastrophic event has put on us at this time. “Us” meaning the world at large and the United States as well. So it covers a whole lot of territory. There are many stories in this album and, I must say, they’re heartfelt because of how much heart Elvis has delivered. EC: I think when you took the lead on the writing collaboration, it opened the door to the reflections. To return to Professor Longhair, it might seem something of a presumption to write lyrics for that, but Allen’s transcription of “Tiptina” in the minor key is such a piece of music in its own right. The images of the opening lines of that song were given to me by friends who returned to the city—and those were their first impressions. They were eyewitnesses, even though they weren’t my eyes. And the final thoughts were just of something hopeful. Beyond that, a song like “International Echo” is a celebration. It’s a rare lyric on my part about the way music affects people and goes out and transforms and turns you upside down. It can also stupefy you, quite literally, if you succumb to the temptations of the life that it may offer you. There’s a bit of comedy in that song. There’s not a huge difference in what’s being said in “Who’s Gonna Help Brother Get Further?” and parts of the verses of “River In Reverse” that specifically refer to recent events: “Are your arms too weak to lift?/ Another shovel on the graveyard shift/ Here comes the flood if you catch my drift/ Where the things that they promised are not a gift.” But it’s the things that we hope that are out there for everybody in life are not a gift, they’re just simple matters of dignity and decency— something that’s possible for everybody. That’s what I found really beautiful about Allen’s song “Who’s Gonna Help Brother Get Further?” [originally recorded by Lee Dorsey in 1970]. That’s why it’s a good time to sing it now. It’s as good a time as any, but it would have been a good song on any occasion, and it’s just been brought into relief by the recent events. That’s why the record doesn’t dwell exclusively in the shadow of Katrina. A week after Katrina, I was onstage at Bumbershoot Festival [in Seattle] and I didn’t feel I had a song to sing that spoke in any way to what everybody had been living with as their day-to-day news reality. That’s not a contradiction in terms. [Laughs.] I knew that it would be on people’s minds, and I felt that some song should address it, and the song that I chose was “Freedom for the Stallion.” Then, by the time I got the invitation from Wynton Marsalis to appear at the Rose Hall benefit [at New York’s Jazz at Lincoln Center] that ended up being the first in a week of benefit events, I knew that Allen was in New York. We were put in contact and he agreed to play with me. And everything else that’s happened has gone on from that first performance. By midweek, when I was Allen’s guest at Madison Square Garden for a benefit show with his band along with a number of other singers, I performed “On Your Way Down” because “On Your Way Down” is about somebody who is moving uptown and leaving behind their true friends for the high life but, in the context, I felt it could also be about the promises that we were attempting to keep in this moment. I suppose I took the liberty of bending the song’s meaning slightly to my interpretation. On other songs, like “Who’s Gonna Help Brother Get Further?,” you don’t need to do any bending—they say exactly what you mean, but they say it with such a light wit that the seriousness of what’s being said in the last verse hits you sometime afterward. Elvis, I’ve heard you mention that the first time the two of you worked on a session together was when you covered Yoko Ono’s “Walking on Thin Ice.” What memories do you have of that particular experience? EC: Well, it was one of the several occasions where I worked up a scam with my agent, in that I asked her to book me into New Orleans with almost certain knowledge that the concert would be cancelled due to lack of interest. I think probably because New Orleans has so much music, it’s a little difficult sometimes to get to play a concert there and draw a crowd—at least that’s been my experience. It was a good scam on my part because then I got some days off in the city and, on this one occasion, I had the opportunity to cut a track at Sea-Saint with Allen and it was amazing. It was a really great experience. It was the most unusual song to collaborate on. We got to go to the great Sea-Saint Studios [in September 1983, which was Toussaint’s longtime recording base that closed following Katrina] and the atmosphere of it was terrific. I remember Allen being just as he is now—open to the whole new thing of it and getting to work and, in a couple of days, we had a track all mixed and ready to go. AT: It was quite fresh and new for me. It was unlike most songs that I had been accustomed to writing in my own house, you might say. So I just instilled whatever I am into it. That was how I looked at it and I enjoyed the experience. How did that come about? Were both of you approached independently about working together? EC: I was approached by Yoko. Given the circumstances in which it was written and recorded by her, I felt that it was a responsibility to do it well. [Ed. Note: This was the final song recorded by John Lennon and Yoko Ono. After completing the session and returning home from the studio on Dec. 8, 1980, Lennon was shot and killed.] I knew that we needed to dig down inside it and find some other approach, musically, and one of the ideas I had was to work with somebody whose work I had admired but never perhaps had the confidence to approach, on the neutral ground of this very unusual collaboration. Then, when I went back there in ‘88 to record part of the album Spike, I invited Allen to play piano on the introduction to “Deep Dark Truthful Mirror,” which he did incredibly and really defined that song. And it’s really a shame but that was the last connection that we had for a number of years—until, actually, New Orleans Jazz Festival  when we found ourselves on the same bill, and it was just great to see Allen again. Of course, the next time I saw him was up in New York after Katrina, and it was under much more grave circumstances. His attitude throughout this has been consistent. He’s been about the new thing that’s happening in music, and I can’t say enough about that. EC: Well, I must say that you picked the one remark I made there that I didn’t have a chance to qualify, and when I heard that come up, I almost asked Matthew [Buzzell, the director] to take it out of the film because I think that it suggests that other people, in the form of music that Allen emerged from, are not sensitive to anything. But there are people who carry themselves in a much rawer, rougher way—there’s no question about that—who disguise any sensitivity to music behind the bravado. That’s what I meant by it. Sam Moore told me a great story about Wilson Pickett once. He said you could never work on a bill with Wilson Pickett because if you went on before him, he’d accuse you of upstaging him and if you went on after him, he’d have it in for you because he didn’t feel that you should have been headlining. You could never win. [Laughs.] I don’t know whether that story’s exactly an accurate picture of the man but it’s an example of somebody who’s a great artist and a terrific singer, but clearly he had the shell of an armadillo. Behind that, there might have been something entirely different going on. Whereas, Allen—because he’s been in the studio—is attuned to other people’s sensibilities. As a producer and a songwriter, you need to have kind of the antennae up. Allen, can you describe the experience of returning to the stage at Jazz Fest this year? AT: It was wonderful. Glorious is a fine word as well. I loved and appreciated how the audience was so in tune. They were moving to the music, and I’m glad to say that that’s always gratifying to us. Their ears and hearts were wide open because they heard what was being said and they appreciated it. The two of you performed together at Bonnaroo [in 2006]. Allen is sort of entwined with the DNA of the festival, having produced the album that is its namesake [Dr. John’s Desitively Bonnaroo]. EC: What was most startling about it, given that it was 95 degrees and about 100 percent humidity—that’s a good reason to lose your mind, you know—is that people were listening. You could see that, when you’re in clear daylight. We played in the afternoon, and you could see people’s concentration on the music and their engagement with the music. I could see the crowd coming from the distance, and it was quite moving to see people moving toward the sound of the music to come and check it out. And I did appreciate it as an opportunity for us to meet with a different audience than we’re used to meeting with. I really enjoyed it. AT: Well, I didn’t know the Bonnaroo festival existed. I hadn’t been there to perform, so I was really looking forward to it. And this was a very fine first time at Bonnaroo for me. It went the very best way it could have gone for the first time, or a second time or a third time. David Bowie, Glenn Frey, Phife Dawg, Merle Haggard, Dan Hicks, Ernestine Anderson, Lonnie Mack, Maurice White, Blowfly, Otis Clay, Steve Young, George Martin, Keith Emerson, Henry McCullough, Prince. Was there a genre or subgenre of music that did not grieve in the closing months of 2015 through spring 2016—a period that must rank among the most devastating ever for the loss of important and influential songwriters and musicians? In New Orleans, that most essential city of American music, the loss has been especially keen since the passing, in November, of Allen Toussaint, 77, from a heart attack following a concert in Madrid, Spain. In a career that lasted more than 60 years, Toussaint did it all: songwriter, performer, A&R rep, record producer, and owner of a record label and a recording studio. He collaborated on albums with Paul McCartney (Venus and Mars) and Elvis Costello (The River in Reverse). He provided horn arrangements for the Band's Rock of Ages, and The Last Waltz. He and his partner, Marshall Sehorn, employed a house band at Sea-Saint Studios, in New Orleans, consisting of Art Neville, George Porter, Leo Nocentelli, and Zigaboo Modeliste—an amazing quartet that later became the Meters, the funkiest and most influential of all New Orleans bands. Although providing a steady, paying gig for the Meters is, all by itself, unbelievably sweet and weighty cred, perhaps the best thing about Toussaint was that, in a town filled with colorful if less-than-savory characters, he was a class act as a musician and as a human being. It's fitting, then, that his final recording project, American Tunes, completed just before his death, is a work of great taste and decorum. Almost entirely instrumental, with just Toussaint at his piano, the album was recorded in two sessions: at his home studio, in New Orleans; and in Los Angeles, with such musicians as Bill Frisell, Greg Leisz, Van Dyke Parks, Charles Lloyd, and singer Rhiannon Giddens (though the instrumental accompaniment is spare throughout). The album is a fantastic and esoteric tour through the Great American Songbook, as selected by the old master himself. Both sessions were produced by Joe Henry, who worked with Toussaint on his next-to-last studio album, Bright Mississippi, which was our "Recording of the Month" for July 2009. The other thing that Toussaint was throughout his entire life was New Orleans piano professor—perhaps the last in a long, distinguished line, and a skill often obscured by his many other talents. It's natural, then, that after a performance of Toussaint's own "Delores' Boyfriend," American Tunes continues with two songs associated with rent-party luminary Thomas "Fats" Waller: the Waller original "Viper's Drag," then "Confessin' (That I Love You)," a robust, good-time tune also associated with Louis Armstrong, who recorded it often. Accompanied only by drummer Jay Bellerose and bassist David Piltch, the rhythm section from the L.A. sessions, Toussaint proceeds at a jaunty pace, capturing some of the number's trademark sassiness. This album is being billed as Toussaint's tribute to Henry Byrd, aka Professor Longhair. In one of Fess's best-known tunes, "Mardi Gras in New Orleans," Toussaint shows what a great interpreter and arranger he was by draining the song of its usual manic energy and chugging pace, and remaking it as a fabulous, spacious jazz number taken at leisurely pace, with a vibe of "summertime, and the livin' is easy." The relation of Toussaint's refashioning of the song into a near ballad with a simple ending and final chord coda, to Fess's famous party hymn, is at best tangential—and, for that, it's almost unspeakably wonderful. Toussaint's love and understanding of Fess's music is unequaled. Not even Dr. John could pull off something that sounds this offhand and yet is so intricately constructed. And no whistling! Bravo! Three tracks later, Toussaint gives a more or less straight reading, ornamented with plenty of Fess-like trills, of Earl King's "Big Chief"—which, after "Mardi Gras in New Orleans," is Byrd's next-best-known tune. He also hews close to the original version in the third Longhair tune here, "Hey Little Girl," originally recorded as part of the Professor's landmark 1949 and 1953 sessions for Atlantic Records, later released on the LP New Orleans Piano (1972). At another point here, Toussaint takes on another very different player, Bill Evans, and his "Waltz for Debby." Adding a light broth of New Orleans funk, he transforms another tune inextricably associated with the artist who created it into his own seriously arranged but joyously played frolic. There's a lightness and a masterful playfulness to the entire album that make it an appealing epilogue to Toussaint's career. There are also three Ellington numbers: "Lotus Blossom" (by Ellington's great collaborator Billy Strayhorn), "Come Sunday," and "Rocks in My Bed,"the last two of which include the rich, expressive singing of Rhiannon Giddens, of the Carolina Chocolate Drops. Oddly enough, Toussaint's reading of his own "Southern Nights," perhaps his biggest hit single, is strangely disengaged and meandering. Perhaps, with that tune, he'd already said everything he had to say. That's all, I'm trying to get some rest. Allen Toussaint’s email to producer Joe Henry arrived unexpectedly last fall. The message from the veteran New Orleans producer, songwriter, pianist and arranger was short and to the point. Toussaint, in Switzerland at the time, was writing to express a recent obsession with playing “Lotus Blossom,” a work from composer Billy Strayhorn. The track is part of Toussaint’s “American Tunes” album, released June 10, in which Toussaint applies his distinctive pianistic touch to a choice selection of songs by Duke Ellington, Fats Waller, Louis Moreau Gottschalk, Professor Longhair and Paul Simon, among several others. The goal with “American Tunes” was to create an extension of the work Henry and Toussaint had done in 2009 on the album “The Bright Mississippi.” On that collection, Toussaint interpreted compositions by jazz greats including Jelly Roll Morton, Django Reinhardt, Thelonious Monk, Sidney Bechet, Ellington and Strayhorn. Like many who knew Toussaint personally, or just through his music, Henry was stunned to receive word on Nov. 10 that Toussaint had suffered a heart attack and died at age 77 shortly after a performance in Madrid. His death makes the arrival of “American Tunes” all the more poignant, both for those who worked on it and for fans of the extensive body of work he left behind as one of the prime architects of New Orleans R&B, funk and rock music over the last 60 years. He wrote, produced, arranged and/or played on a number of hits. Among them: the Pointer Sisters’ “Yes We Can Can,” Glen Campbell’s “Southern Nights,” Lee Dorsey’s “Working in the Coal Mine,” Ernie K-Doe’s “Mother-in-Law” and “A Certain Girl,” Benny Spellman’s and, later, the Rolling Stones’ “Fortune Teller,” Irma Thomas’ “It’s Raining” and the instrumental “Java,” which trumpeter Al Hirt turned into a pop hit. No one suspected during the “American Tunes” recording sessions last year that it would turn out to be Toussaint’s final musical statement. In fact, just after those sessions wrapped, before heading to Europe for a series of performances, he was given a clean bill of health by his doctors, one of his close associates told The Times after his death. What started with Toussaint spotlighting the songs of his New Orleans role model, Henry Roeland “Roy” Byrd, aka Professor Longhair, soon expanded into a far-reaching exploration of music from many of the greatest American composers of the previous century and a half, most of them African American. “We’d been trying to imagine how to do that authentically for the past six years,” Henry said. “Beyond that, there was something absolutely cosmic to me to the fact that for everybody we wanted to be involved, there was really only one window in the foreseeable present time that we all might be in a room together. Singer Rhiannon Giddens echoed Henry’s sentiments. She brought her broad-based roots in African American string band music, American country and folk, Celtic music and operatic singing to bear in her vocals on two Ellington compositions — “Rocks in My Bed” and “Come Sunday. “I knew he was this mythic figure, but it was so neat to meet him,” she said in a separate interview. “It was amazing to me to take in: Here’s this incredible individual, who was obviously a very spiritual man, and when I walked in, oh my God, he set me at ease immediately. The whole recording studio was filled with that energy. Henry recalled a moment after Giddens had sung “Come Sunday.” She expressed concern that she sounded too classical and not earthy enough. Then there is the album’s closing number, Simon’s “American Tune,” which Simon wrote in 1973 during the height of the Watergate scandal. Simon’s song questioned the state of the union and Toussaint picked up on its latter-day relevance and began including it in his shows after Hurricane Katrina devastated New Orleans and much of the Gulf Coast in 2005. He recorded a version for a 2007 Paul Simon tribute album. The song, Toussaint told former Times pop music critic Robert Hilburn, who is at work on a Simon biography, “is one of the finest ever, of anyone’s songs, anywhere. “’He said things in that song [that were so profound] you could [spend a] school semester on that song, I would think, from what it says, and what he saw,’ ” Toussaint told Hilburn. It’s the only song on the new album that includes Toussaint’s voice as well as his piano playing, an element Henry felt was crucial to the collection. “It turns out it was the next-to-last thing he ever recorded in a studio,” Henry said. “When we sat down to listen back to it, many of us were teary-eyed. Allen was critiquing his own vocal with a hard eye, as he always did, and I’m sitting there barely able to speak. “I’m still recovering from what it was to stand in that room and hear that in real time. I’m so touched by his vulnerability in reading that song, his choices as a piano player, and what he adds as sort of an obbligato sidebar commentary with his playing. American Tunes is a perfectly lovely swan song by the late New Orleans songwriter and pianist Allen Toussaint. Finished weeks before his death while on tour in Madrid last November at age 77, it was produced by Joe Henry,and is a mostly instrumental effort that, like their 2009 collaboration Bright Mississippi, largely avoids the scores of hits Toussaint wrote for artists such Lee Dorsey, Irma Thomas and Ernie K-Doe. Instead, it finds one of the great late 20th-century pop writers focusing on other people' tunes, including Professor Longhair, Duke Ellington, Fats Waller, Bill Evans, and Earl 'F"Fatha"" Hines. Van Dyke Parks, Charles Lloyd and Rhiannon Giddens make guest appearances on the elegant and understated 14 song set, which includes two of Toussaint's own tunes in "Southern Nights," a huge hit for Glen Campbell in 1977, and the lesser-known "Delores' Boyfriend." The set closes with Toussaint - who shunned the spotlight most of his career but performed more frequently after his Crescent City home was destroyed in Hurricane Katrina - singing an affecting version of Paul Simon's weary but unbowed "American Tune." Allen Toussaint died last November, not long after he finished the sessions that became his and producer Joe Henry’s final collaboration, "American Tunes." Toussaint is the composer/producer who, starting in the late 1950s, played a huge role in creating the New Orleans R&B sound. But Henry believed Toussaint had never received his proper due, so he set out to correct that when he started working with Toussaint more than 10 years ago. Since then, Henry helped Toussaint make “The River in Reverse,” a collaboration with Elvis Costello, and “The Bright Mississippi” a collection of modern and classic jazz arrangements. Joe Henry joined The Frame in studio recently to talk with Senior Producer Oscar Garza about working with the New Orleans icon. How did you first start producing for Allen Toussaint? I had created a collaborative project called "I Believe To My Soul" in 2005. The concept was that there was not really a contemporary platform for great soul artists. Everybody either got relegated to the oldies circuit or pushed into the hip-hop world. So I created this project where I invited Mavis Staples, Ann Peebles, Irma Thomas, Billy Preston and, ultimately, Allen Toussaint into a room with a shared band over four days in the old Capitol studio in Hollywood. Originally, there was somebody else in Allen's chair. I needed someone who could be a featured artist, but also a permanent band member to connect these threads that were coming through this revolving door every day. That person dropped out about nine days before the sessions after I had spent two years assembling [the participants]. He shall remain nameless, although I still love and admire him tremendously and owe him a great debt, because the only other person who could be a featured artist in this configuration, and also a significant band member, was Allen Toussaint. But I had no relationship with him. So how did you get to him? My wife had years ago worked with Quint Davis who runs Jazz Fest in New Orleans. She said, "For starters, just call Quint Davis and say, 'Help. How do I find Allen Toussaint? How can you put me in touch with him?'" I called his office and a man answered the phone. I said, "Is Quint there? No? Listen I'm trying to get a hold of Allen Toussaint. Is there anybody there who can help me?" The man said, "Well, I'm his son. What's on your mind?" It was his son, Reginald, who was his manager also. So there I was. I made my desperate pitch to him and he said, "Put it in an email and I'll talk to my dad about it." He called the next day and said, "My dad says yes." I said, This is a multifaceted project and I'm asking a lot of him. Which part is he okay with?" He said, "All of it!" From that moment on we were working pretty consistently for over 10 years in so many different ways. It was life-changing for me. Allen Toussaint produced for many artists over his long career. While he was always the gentlemen, he was very precise and exacting about getting the sound that he wanted in the studio. So what was it like for you to produce an artist who had that background as a producer? Well, it was terrifying. I so revered him as a producer, songwriter, arranger and pianist. But because Allen had really occupied that chair as producer, he, above all, made sure that I understood that I was in that chair for a reason and that it was a real job and that I was obliged to take the wheel. So at the same time that he might have been the most intimidating man in the room, he also was the most understanding person. He saw what my responsibilities were and what my fears were — he understood all of it. I learned so much from him as his producer. It was that old thing where, if you really want to learn something, try teaching it. You try to produce somebody who knows what that means ... I know I learned a lot more than he did. "Southern Nights" was one of Toussaint's first hit songs as a solo artist. Why did you choose to re-record it on "American Tunes?" That's a two piano duet between Allen Toussaint and my dear friend and neighbor, Van Dyke Parks. It happened again by the aligning of stars. A lot of people don't understand the history between Allen and Van Dyke, but when Allen was first signed in 1971 to Warner Bros. Records as an artist himself, he was a very reluctant frontman. At that point, when Lenny Waronker and Mo Ostin were running Warner Bros. Records, Van Dyke was a staff producer and remote A&R man. Allen would not deliver his record. He kept promising and it was not forthcoming. At one point, as I understand it, Mo Ostin calls in Van Dyke and says, "I don't know what's going on in New Orleans, but go down there, figure out what he needs to finish this record and help him. And don't come back without it!" So Van Dyke goes to New Orleans and realizes that Allen believes himself to be a song short in his album, and a significant song short. He can't let go of it until this piece is in place. One night, Van Dyke says to him, "Listen, here's the deal, Allen: You need to imagine that you've got two weeks to live. What have you not said as a songwriter that you must?" And, as I understand it, Allen went home that night and wrote "Southern Nights." So then, 40 years later, I'm standing in the room with both of them, and there happen to be two pianos side-by-side in the room. I thought, Well, you were inspired to write it by the man standing here so without thinking about it or talking about it, you guys should sit down at these two pianos, if nothing else, to entertain me. And the delight that both men had to sit face- to-face at these pianos — had nobody ever heard it after that, it still would have been one of the great moments of my professional life, to stand there and watch that happen. I would never, ever describe Mr. Toussaint as a giddy man, but he was giddy to sit with Van Dyke and play. It was just something I'll never forget and, as far as I know, it was the very last thing that Allen ever recorded in the studio. It seems so full circle to me now to reflect back on that reunion of those two completely anomalous characters who, nonetheless, were devoted to each other. Their admiration for each other was palpable in the room. When was the last time that you saw or spoke with Allen Toussaint? The last time that I communed with him was two days before his passing. It was really strange because I was driving up to Northern California to a conference and my wife was with me. I was driving and she was playing traveling secretary for me because there was a lot going on at the moment. She just said, "Hey you just got an email from A.T. Should I read it to you?" I was surprised because he would always respond to an email if I had a question for him, but he responded like a man sending a telegram who was paying by the word. He did not use email to be conversational. So for me to get an email from him was unusual if I hadn't just asked him a question. He had been resistant to recording the Billy Strayhorn piece, "Lotus Blossom," and I had urged him to stick with it because I thought it was an important piece. I thought it sat at the center of what we meant to do. When he wrote me this email from Switzerland he just said: "Greetings from Switzerland. I just want you to know that I can't stop playing 'Lotus Blossom.' Thank you for taking me there. — A.T." There couldn't have been a more perfect sign-off for me personally than him acknowledging that I wasn't pushing him somewhere that he didn't want to go. I worried at times that I was asking him to take on music that maybe he hadn't found a way into. I never wanted it to be something he was doing for me. I wanted him to be doing it because it resonated with him. And it was very important to me that it remained meaningful to him even beyond the sessions — that he heard himself in that music somewhere and was staying engaged with it. So that was a gift for me. 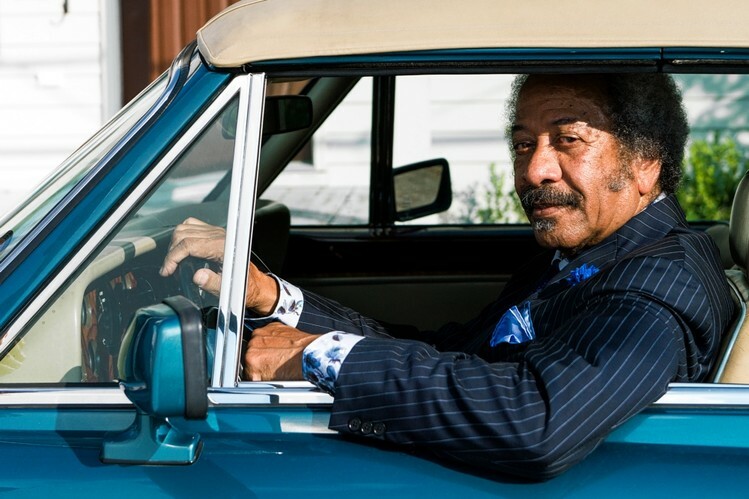 Allen Toussaint sings just once on his final album, “American Tunes,” but it’s a moment worth savoring. The song is Paul Simon’s “American Tune,” a secular hymn of perseverance, and he starts out solemn, backed only by an acoustic guitar. He waits a full two minutes before tolling a chord at the piano, as punctuation for the first line of the bridge: “And I dreamed I was dying.” He plays it on the offbeat, naturally. Mr. Toussaint, who died last year at 77 after performing a concert in Madrid, was a soft-spoken yet statesmanlike eminence of New Orleans music: a pianist, singer-songwriter, producer and arranger whose influence ran deep through soul and rhythm and blues. He also loved jazz, and made a recent album loosely in that lineage — “The Bright Mississippi” on Nonesuch in 2009 — with the producer Joe Henry. “American Tunes” is a follow-up of sorts, in that it was also produced by Mr. Henry, with choice collaborators, including the tenor saxophonist Charles Lloyd and the guitarist Bill Frisell, who help serve up a courtly version of the Billy Strayhorn ballad “Lotus Blossom.” They also join Rhiannon Giddens on a pair of vocal pieces by Duke Ellington: “Come Sunday,” imploring and formal, and “Rocks in My Bed,” stomping and sly. But even with these reference points, the album’s jazz affinities feel less meaningful than its resonances with New Orleans. Several tracks feature Mr. Toussaint alone at the piano, and they’re reminders of the regional traditions he elegantly upheld. In particular they recall the New Orleans piano legend Professor Longhair; Mr. Toussaint had a formative and special admiration for him, like Matisse’s relationship to Cézanne. Two of the solo pieces, “Hey Little Girl” and “Mardi Gras in New Orleans,” are Professor Longhair tunes; a third, “Big Chief,” was one of his calling cards, written by Earl King. The dignified calm with which Mr. Toussaint plays these rollicking tunes almost suggests a sleight-of-hand: he’s not showing you how much work it takes to make this music sound so effortless. When Allen Toussaint died last November at age 77, suffering a series of heart attacks shortly after giving a concert in Madrid, he left a legacy as a songwriter, producer and arranger unrivaled not just in his native New Orleans, but arguably modern popular music altogether. A full list of his credits would fill a book. Even just the highlights and hits would go on for quite a while. But just to start: Ernie K-Doe's Mother-in-Law, Lee Dorsey's Working In The Coal Mine, LaBelle's Lady Marmalade, the Pointer Sisters' Yes We Can Can, the horns on Paul McCartney & Wings 'Venus And Mars album and the Band's The Last Waltz concert and good portions of the Dr. John and The Meters catalogs — all fine examples of Toussaint's talents. No surprise, then, that Joe Henry had an excited gleam in his eyes back in late September when, while watching a Los Angeles concert by Emmylou Harris and Rodney Crowell, he leaned over and said, "Guess what I'm doing Thursday? 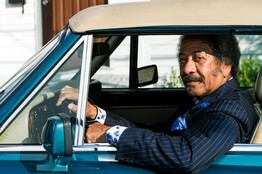 I'm producing Allen Toussaint's next album." Of course, he had no idea that those sessions would be Toussaint's final studio recordings. But the resultant album, titled American Tunes and released this week by Nonesuch Records, is a perfect, if unintended epitaph. Mixing these sessions with a handful of solo recordings made at Toussaint's house in 2013, it showcases the lesser-known side of Toussaint—that of a masterful pianist and interpreter. Solo, he turns several pieces from the repertoire of New Orleans pianist Professor Longhair into near-classical etudes. On the L.A. tracks he injects some New Orleans into pieces by such titans as Duke Ellington, Billy Strayhorn, Fats Waller and Bill Evans, with help from singer Rhiannon Giddens, guitarists Bill Frisell and Greg Leisz, saxophonist Charles Lloyd, pianist/arranger Van Dyke Parks, drummer Jay Bellerose and bassist David Piltch. Closing are an instrumental of Toussaint's Southern Nights (best known as a 1977 No. 1 hit by Glen Campbell) and the lone vocal appearance by the artist, a moving, personalized reading of the song from which the album title comes, Paul Simon's "American Tune." Henry has built a sterling production resumé—Solomon Burke, Bonnie Raitt, Loudon Wainwright III, Aaron Neville and a Harris/Crowell album, for a start—not to mention 13 fine albums of his own. But 'American Tunes' is the pinnacle of a close relationship that started with Toussaint's central role on the 2005 Henry-produced all-star Southern R&B project I Believe To My Soul. Shortly after that, Henry was invited to produce the Allen Toussaint-Elvis Costello collaboration The River in Reverse, a deeply emotional, spirited set recorded just weeks after the devastating New Orleans flood. That was followed by 2009's The Bright Mississippi, on which with Henry’s urging and support, Toussaint first focused on his piano and interpretive talents with a largely instrumental set drawn from the New Orleans jazz canon. Getting from 'The Bright Mississippi' to 'American Tunes,' though, was a bit of a struggle--with much discussion and some reluctance on Toussaint's part. Reminded of the encounter last fall before the sessions, Henry is not at all surprised to hear of his ebullient demeanor. "To finally be there," he says. "I'm sure I was quite giddy." How did you see this project, going in? After we made 'The Bright Mississippi' and [Allen] had done a lot of touring, and was digging deeper into that music and the concept of presenting himself as a piano interpreter. With that album I said, "People understand how and why you matter as a songwriter and producer, but I don't think people recognize your artistry as a pianist and interpreter." It was not just putting him on the landscape of great New Orleans artists, but more prominently place him on the arc of the most significant American musicians, hear him within the glow of Duke Ellington and Thelonious Monk and Fats Waller. Once we'd been there, we talked many times over the years of not wanting to recreate that record, but expand on that template. The 2013 sessions at his house were his solo interpretations of Professor Longhair material, done almost as classical variations or etudes. I think neither us after those two days thought it added up to an album. He wanted people to recognize Longhair as a composer of significance, not just a good-time entertainer. As this new concept started to expand, I suggested we open the fence. He was quite excited about people hearing Longhair in the company of Strayhorn and Ellington, etc. The second half of the album features a sequence going from the middle of the 19th century with [Louis Moreau] Gottschalk's Danza to Longhair's "Hey Little Girl" to Ellington's "Come Sunday" and then Allen's own "Southern Nights." It feels like we're experiencing a whole world of modern American music through Allen's fingers and sensibilities. I can't tell you how affirming it is that you heard it that way. That was the goal with this album, of course, as we left port. But you never know how that stuff is going to translate, or how people will perceive it. We went through a lot of material, and there are certain things that felt undeniable to me. "Lotus Blossom," for example, I for a long time felt a kinship between the spirituality, the sublime urbanity of Allen and Billy Strayhorn. I always imagined a link between them. "Lotus Blossom" is a favorite of mine and not only did I think Allen would like it, but it's something he would relate to, something he could have written. It's sort of a Monet painting to me. He responded immediately to me when I suggested it, but I will tell you a week before the session he tried to beg off on it. He said, "I'm not sure I can take this anywhere it isn't already." I said, "I hear you, and if you come back to me and say the same I won't mention it again. But spend a day with this. I don't think it's incidental, there's some significant connective tissue between where you are and this kind of American music." And he spend another day with it and wrote back, "You're right. I'm okay with that." He said the same thing about Gottschalk. "I don't know if I'm allowed to do this or not. I'm not allowed to funkify Gottschalk." I said, "Of course you are! No artist thinks that their art is unapproachable." I said to him, "You don't want to think that your art is unapproachable, that because where you parked it, it is un-engageable." Van Dyke Parks not only arranged Danza, but duets with Allen. I was invited to sing at the pair of "farewell" live performance concerts Van Dyke did at [the L.A. theatre] Largo. I was standing in the wings waiting to sing and Van Dyke goes out with a small orchestra and performs that piece. He's a long-time friend and mentor, and long-time friend of Allen and as soon as he came off stage I grabbed his overalls and said, "I need that." I said to Allen that it would be very stripped-down. Van Dyke said, "I have a stripped-down arrangement — one piano, one harp, one cello." I said that's exactly what we need. Serendipitously, there happened to be two pianos side by side in the studio when we recorded that at United Sound. Van Dyke came in to watch and as soon as he walked in, Allen bolted over to me and said, "You know there are two pianos there. How would you feel about Van Dyke and me doing it together?" I would rarely use giddy to describe his demeanor. But he was giddy. He knew where the song needed to go in the present tense. Producing one of the iconic producers of American music had to have been daunting. How did you approach that? This is a very particular relationship. I was conscious of it before he passed. Allen and I worked regularly over a full decade and my wide said many times over the years, "You will never have another relationship like that." He is such an anomalous human being and was so generous and trusting of me in ways I understand, and some I don't. But he gave me so much latitude as a producer, I believe, because he was one so significantly himself that he knew it was a job, and need to be somebody's job. And whoever had that chair was accorded a certain amount of respect and leeway because he demanded it when he sat in that chair. Just after Katrina happened, he and I had dinner in New York and it was one of the few times he and I sat together without others in the circle. And I had such an amazing, spontaneous conversation with him about his life as a producer in the '50s in New Orleans, about our approaches, and it was so inspiring to listen to someone who had been at it so long and so well-known, to listen to his message. He said that, "Back in the heyday I wrote parts for everybody — drummer, bass player, I wrote the charts. When they walked through that door, I handed it to them, and a good session was when they played it that way." He said to me, "You don't do it that way." I said, "There's a good reason. I can't. I certainly can't write for a drummer. I have my imagination of what it will sound like, but I want when they come in to hear what they will offer that we don’t already know." He said, "You invite people to the table and wait for magic to happen. And somehow it does." I bring that up not to congratulate myself, but he said, "I did it my way for so long and right now I want to go where you go, to be part of that." I was stunned. He was in the Rock and Roll Hall of Fame and he was thinking, "I want to go somewhere else, be something more, something new." That he could have that heart and still be open to that point of view. You did invite other musicians for this. The rhythm throughout was Jay Bellerose and David Piltch, who were on 'Bright Mississippi'. They are my dear brothers and worked a lot with AT on my watch. The trio things with them are the heart and soul of this record. And Bill Frisell on electric guitar, whenever you hear that, Charles Lloyd on tenor. And Greg Leisz plays Weissenborn [acoustic slide guitar] on "Come Sunday" and "Rocks In My Bed." Greg is like Jay and David, one of my closest allies going on more than 15 years, 20 years. At one point I just wanted him to be in the room, didn't even know for what songs or what he would play. Sometimes I feel I'm more casting now for personality and inspiration. And his relationship with Frisell and Jay in particular, you're tapping into that synergy. I also liked the earthy quality the Weissenborn brings to the Ellington pieces. Great to hear those taken out of the very formal setting and presented in a humble and earthy fashion, and I love that tonality. What was the thinking behind having Rhiannon Giddens, whom you'd produced with the Carolina Chocolate Drops, come in for two songs? As Allen and I were honing in on repertoire, we talked about the ways in which the new recording should be in kinship with 'The Bright Mississippi'— it should feel like a natural progression and a companion piece, yet have its own distinct identity. And as such we wanted to include a guest vocalist, whereas the guests on the last one were all instrumentalists. Being a dear friend as well as a frequent collaborator, Rhiannon came quickly to my mind. I knew that she would resonate deeply with Allen, since, like him, her musicality can be both earthy and refined. And the notion of her involvement gave me the courage to suggest Duke Ellington and Billy Strayhorn's "Come Sunday" from the Brown, Black and Beige suite—a longtime favorite of mine, but not a shoe everyone would willingly try on for size, given that Mahalia Jackson had so powerfully rendered it with Duke in 1958. Paul Simon's "American Tune" was something Allen started doing regularly not long after the flood, and it had the right tone for a city and its people struggling to get life back on track, struggling to move forward. Simon's dream of American just seemed to fit. Here it serves as epilogue to the journey through American music, and perhaps to his whole career. Amazing retroactively how our experience throws a light on something, how different it sounds to me and sounds to me instantly. His reading of "American Tune" was a last-minute inclusion. It occurred to me and [Nonesuch Records co-president] David Bither that we have to hear his voice somewhere. We needed to hear him. And once he was gone, hearing him and in particular in that context carries a weight that no one imagined we were having at the moment. I talked to Elvis about it, and the two of them began doing the song together when touring 'The River In Reverse.' Elvis said, "I'm so grateful, when we were doing it I sang the lion's share of the song." But because I knew that he had done it, and because it's such a heavy piece of writing and the impulse of this record to touch on such a wide array of American music forms and understand there's a through line, something like that song connects to everything we hear. And now the album is marked by the loss. It's devastating. To come this far — I never had to finish a record without the artist standing next to me. Fortunately, everything was recorded. I wouldn't have dreamed of recording anything without him. But to be mixing it… We were scheduled to begin mixing the record, he died on a Sunday in Madrid. I got word about 6 a.m. Monday morning. My wife, Melanie, and I were up in Sonoma at a friend's little cabin in the woods. We were due to drive home and laying asleep in the pouring rain and I got two texts in 15 seconds, the phone buzzed. As a parent, that's never a good sign, rapid texts at 6 in the morning. I fumbled for my glasses, couldn't find them, but could see there on the screen that there were two texts, one from his daughter and one from the president of Nonesuch, and even without my glasses I could see two words in each — "Allen" and "dead." Melanie said, "Is everything okay?" And I couldn't even say it out loud. I didn't want to say it, it made it real. I had an email from him 36 hours before that, which was unique. He rarely replied to emails, but when he did it was like sending a telegram paid by the word. I was driving up north for the weekend and Melanie was playing secretary and said, "Hey, you got an email from AT." That never happened. She read it and he said, "I just landed in Switzerland and wanted to tell you I can't stop playing 'Lotus Blossom.' Thank you for taking me there." And two days later he was gone. American Tunes is Allen Toussaint's beautiful parting gift. Like its Grammy Award-nominated predecessor, 2009's The Bright Mississippi, American Tunes casts the songwriter, producer and pianist in a role he assumed late in life: the artist-pianist interpreting the music of fellow American masters. His touch is unmistakable. Joe Henry, the man behind The Bright Mississippi and American Tunes (out June 10), made a name for himself as a producer of legacy artists. Bonnie Raitt, Aaron Neville, Irma Thomas, Mavis Staples, Emmylou Harris, Solomon Burke, Ramblin' Jack Elliott and Mose Allison are in that large number. As important as the above artists are to Henry, Toussaint occupies a special place. "I've never had another relationship in my life like the one I enjoyed with Allen," Henry says. "And I won't ever again." Henry and Toussaint's decade of collaboration began with 2005's I Believe to My Soul, a collection of new recordings by classic soul and rhythm-and-blues artists Toussaint, Irma Thomas, Mavis Staples, Ann Peebles and Billy Preston. Toussaint's willingness to travel to Los Angeles to participate in the Soul sessions surprised Henry. "Allen told me he never imagined leaving New Orleans again," Henry says. "He played (the New Orleans Jazz & Heritage Festival) and a couple of things here and there. He considered himself to be retired." During a break in the I Believe to My Soul sessions, Henry overheard Toussaint playing solo piano. "He was in the room alone," Henry recalled. "He started playing Fats Waller. I said, 'Hey. Have you ever thought of making a record like that?' He kept playing and sort of smiled and said, 'Oh, no, never.' He said it in such a way that I was sure he had thought of it. Hurricane Katrina preceded the release of I Believe to My Soul by two months. "I was with Allen in New York, doing press for the album," Henry recalls. "Allen, the seminal figurehead of New Orleans music, was exiled after his home was destroyed. He became the center of a lot of attention." After the levee failures and floods in 2005, Toussaint agreed to record an album with Elvis Costello. Knowing Henry had plans to make a Toussaint solo album, the British star, invited Henry to produce the Costello-Toussaint collaboration that resulted in The River in Reverse. Henry wouldn't realize his dream of producing a Toussaint solo album until The Bright Mississippi. When the project was finally in production, Toussaint deferred to Henry as to what he should record. Remembering Toussaint's piano soloing during the I Believe to My Soul sessions, Henry opted to present Toussaint playing music he didn't write. The Bright Mississippi features Toussaint's interpretations of classics by Duke Ellington, Thelonious Monk, Django Reinhardt, Jelly Roll Morton, Joe "King" Oliver and Sidney Bechet. "It was a successful project by everybody's estimation and an incredibly important for me," Henry says. "Then I spent the next six years chasing Allen to make the follow-up." The elegant, largely instrumental American Tunes follows The Bright Mississippi template. There's music by Waller, Ellington, Billy Strayhorn, Paul Simon, Earl "Fatha" Hines, Bill Evans, Earl King, Professor Longhair and Louis Moreau Gottschalk. There also are a few Toussaint compositions: the Professor Longhair-inspired "Delores' Boyfriend" and a new version of "Southern Nights." Guests Rhiannon Giddens and Van Dyke Parks join Toussaint, as do session players including saxophonist Charles Lloyd and Henry's regular rhythm section, drummer Jay Bellerose and bassist David Piltch. American Tunes almost didn't happen. After Toussaint and Henry recorded solo piano pieces in New Orleans in 2013, sessions didn't resume until October 2015. It was completed during four intense days in Los Angeles. Toussaint died a few weeks later, on Nov. 10, following a concert in Madrid. Two weeks before the 2015 sessions, Toussaint had asked Henry to postpone them. "When Allen left the studio on the last day of recording, he was buoyant," Henry says. "He was so proud of the work. He made sure that I understood that. He said, 'I'm elated about what's happened.'" Henry learned of Toussaint's death via a pair of early morning text messages. One from Toussaint's daughter, Alison Toussaint-LeBeaux, the other from the president of Nonesuch Records, David Bither. "I couldn't take it in," Henry says. "I've had many moments since when it just doesn't compute that he's not among us. On the other hand, he was such a unique and mystical character. I always regarded him as being partially of this Earth. He was always dwelling in the next." When Joe Henry read the many tributes and prose about Allen Toussaint following the New Orleans musician's death in November, he noticed the writers calling the 2006 project he produced with Toussaint and Elvis Costello a "swan song." But Henry knew one thing those writers didn't: "The River in Reverse" was no final project. Toussaint had been working for years on another, nearly complete album. And it was sitting in Henry's files. "I have never been in a position to need to finish a record with the artist at my side or, I should say, me at their side, because the artist is trump," Henry said. "Fortunately, I had everything. I had any notes from him I needed, so I was very confident I was representing what he wanted to be represented." Toussaint's fans will finally hear the music he and Henry had been finishing. The new album, "American Tunes," is out Friday (June 10) from Nonesuch Records. When Toussaint died Nov. 10, 2015, while on tour in Madrid, Henry lost a friend, mentor and musical partner. He could also never hear the music he and Toussaint had recorded the same way. "What it sounded like to me when I knew I could ask him about it was quite different to me than how it sounded as his final statement. The light of his passing threw a completely different and important shadow on what we had just done," said Henry, who produced the album, "and I don't think there's anything around it. You're going to hear it differently. There's a weight and a gravitas that is undeniable." Chief among the concerns Henry had was sequencing the album. He already knew that he was listening to the music in a different way than he had before, and so ordering the tracks on "American Tunes" became more complicated as he shaped the experience of what listeners would hear from piece to piece. Henry, however, already had rough mixes of what Toussaint aimed for in the project that endeavored to examine American compositions. A daunting task already, to be sure, but the path forward was laid before Henry. "American Tunes" was recorded in two different sessions over several years— one solo piano at home in New Orleans and one with a rhythm section and other guest artists — and the songs encompass original pieces as well as ones by Professor Longhair, Duke Ellington, Bill Evans and Fats Waller. "There's a real overview of the total landscape of American music. There's gospel and jazz and blues and folk music and parlor music all referenced," Henry said. "I most wanted to keep in mind ... that anybody approaching this music hear Allen." Henry and Toussaint had worked together many times, and not just on the 2006 album. They'd collaborated many times on various projects for the last decade of Toussaint's life, and the musician Henry met in the studio was one who could be both mentor and a tutor. "He was as vigilant and focused and tenacious as I'd ever known him to be," Henry said. "He played so beautifully. He could make anything sound beautiful going by, but it couldn't only be just beautiful. ... He wanted to make sure it mattered that he was doing something with it." Still, between the two sessions, there were many pieces left on the cutting room floor, and that, too, was important. Simply because Henry knew the music existed did not give him leave to release it. "I couldn't relax my guard, as easy as it would have been, to just put everything we recorded on the record because it was everything we had. ... He and I talked about that a lot," Henry said. "You still want to make sure it reads like a singular movie. that you're only using what is very much in a complete sentence." That doesn't mean there won't be a second life for those other pieces of music, especially, Henry said, some particularly poignant solo piano pieces. "I don't think anything is disposable," Henry said. "If those songs had not existed as complete recordings, if he'd had any qualm about them, I wouldn't be holding a rough mix of them to even evaluate. He wouldn't let me leave the house with them." Missed the Coachella Valley Music and Arts Festival? Bummed you didn’t score tickets to Adele’s upcoming six-night stay at Staples Center or Radiohead’s two-night jaunt at the Shrine Auditorium? Well, there’s plenty of music still to be had this summer, both on record and in person. What follows are some of the top picks from The Times’ music staff. 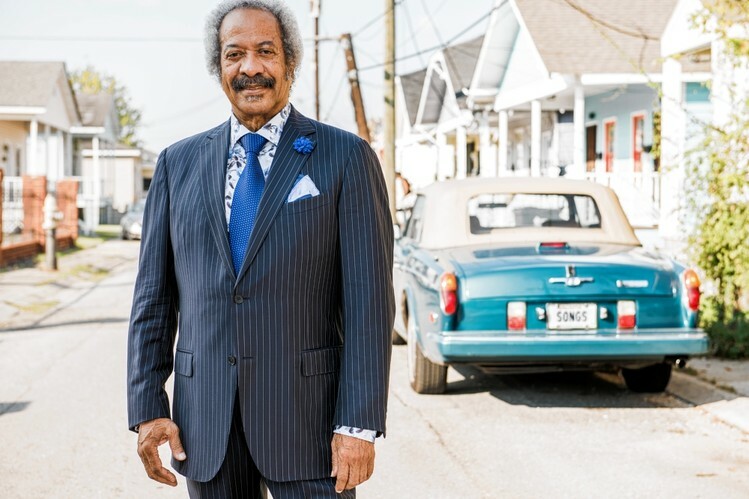 In the last decade or so of his life, the record producer, composer, songwriter and arranger Allen Toussaint started playing a lot more live shows. The root cause was sad — a consequence of relocating from his native New Orleans after hurricane-related flooding — but the performances were everyday magic. Often it would be just him at the piano as he played a broad selection of his hits, his non-hits, songs he had a hand in, songs he just liked. He would sing without affectation, tell stories as one would at the dinner table, and deviate frequently. It was obvious that he was a master musician, able to play Romantic classical masterpieces and Professor Longhair rhumba riffs in the same breath. He was also hosting you at his salon, with a genuine gentlemanly manner and a wink of vast experience. American Tunes, released posthumously following his death last November, isn't designed to capture or simulate a live concert experience. But it does present a side of Toussaint he seemed to emphasize at those shows — an almost retrospective, autumnal focus on the ideas which made him and his music. This is a program of largely all-time-classic songs from jazz and pop history, emphasizing his hometown and personal hero Professor Longhair. Ellingtonia staples "Come Sunday" and "Lotus Blossom" are in the mix with "Big Chief" and "Mardi Gras In New Orleans"; equally on the level are tunes by fellow pianist-composer-virtuosi Fats Waller, Bill Evans, Earl Hines and even New Orleans' own Louis Moreau Gottschalk. It's hard not to read a subtext here: that all these songs belonged in the canon which gave rise to Toussaint and his city, and thus to the bigger picture of important American tunes. This project was recorded with producer Joe Henry in two parts: one a solo session and the other with a rhythm section (bassist David Piltch and drummer Jay Bellerose) joined by special guests with their own slanted Americana: Bill Frisell, Charles Lloyd, Greg Leisz, Rhiannon Giddens, Van Dyke Parks. The delivery is generally elegant, as expected, with little mess around the edges, and taken alone the acoustic politeness could grow frustrating from a central architect of R&B and funk. (Toussaint's digressive, legato reading of "Big Chief" stands out.) But dapper and refined were his personal aesthetic guidelines in life as in music; this is his tribute, after all. Songs: "Big Chief," "American Tune"
The title, taken from the Paul Simon song that closes this album, tells the story: This is American music, a river running from the pre-Joplin cakewalks of Louis Moreau Gottschalk to Fats Waller to Duke Ellington and Billy Strayhorn to Bill Evans to Professor Longhair — all given remarkable new life through the musical mind and masterful fingers of New Orleans giant Allen Toussaint. As such, it makes for a perfect, if sadly premature epitaph for Toussaint, who died in November at 77 of a heart attack following a concert in Madrid, just weeks after completing these recordings. Now, pianist and interpreter might be the last of his talents that get mentioned, understandably given his towering stature as a songwriter, producer and arranger. We could spend hours, days just listing the key artists and songs he’s been behind in one or more of those capacities, going back to the 1950s: Ernie K-Doe’s "Mother in Law," Lee Dorsey’s "Working in a Coal Mine" and "Ride Your Pony," LaBelle’s "Lady Marmalade," the Pointer Sisters’ "Yes We Can Can," Herb Alpert's "Whipped Cream," Irma Thomas’ "It’s Raining," the horn charts for the Band’s "Last Waltz" concert, arrangements on Paul McCartney’s "Venus and Mars" album, many works by New Orleans mainstays Dr. John and the Meters, and so on and so on. He was a key force not just in shaping his city’s sound, but swathes of American popular music through several eras. So it may seem odd to some that what turned out to be his last recordings features just one of his own songs, an instrumental of "Southern Nights," best known in the 1977 No. 1 hit version by Glen Campbell. But it at once shows his relationship to these great legacies of modern music, and properly, profoundly places him in that company. But it’s Toussaint’s deceptively graceful approach that elevates every piece. As pointed out in the astute liner notes by Tom Piazza, a New Orleans music critic, novelist and one of the writers on the HBO just-after-the-flood drama "Treme," on one hand Toussaint brings a New Orleans tinge, with its subtle funk and delightful flourishes, to such jazz classics as Strayhorn’s "Lotus Blossom" and Evans’ "Waltz for Debbie" (somewhat perversely played in 4/4 rather than waltz-time), while transforming such New Orleans standards as Prof. Longhair’s "Mardi Gras in New Orleans" and Earl King’s "Big Chief" (best known from Longhair’s repertoire) into elegant etudes and concisely imaginative sonatas. The sequence unfolds like a vibrant novel or film. And at the end, Simon’s "American Tune" is epilogue. Here we get not just Toussaint’s piano, but finally his voice, too, conversational and eloquent with Simon’s portrayal of the complex cultural mix of our nation that brought about the music we’ve just heard, born of struggle and perseverance, of fears of dying and dreams of flying, of transitions and uncertainties, of destinations and destinies unknown. Toussaint brought it into his repertoire in the first few years after the flood, one of several New Orleans musicians who latched onto it as a song that expressed what they, and their city were experiencing as they fought to rebound and rebuild. Here, though, as many in New Orleans and beyond still mourn his loss, hearing him sing this caps this final album with a perfect measure of both celebration of a life of music and sadness at its ending. His life was a truly American tune. An American symphony. Among the New Orleans musicians receiving nominations were Allen Toussaint, who received two Grammy nominations, the Hot 8 Brass Band, trumpeter Terence Blanchard, as well as PJ Morton and his father Bishop Paul S. Morton. A New Orleans music legend recalls his childhood piano and the love-filled 'shotgun' house where he grew up. Allen Toussaint, 75, has written dozens of hits—including "Southern Nights," "Working in the Coalmine," and "Whipped Cream." In July, he was presented with a 2012 National Humanities Medal by President Obama. Mr. Toussaint's new album, "Songbook" (Rounder), was released Sept. 24. He spoke with reporter Marc Myers. 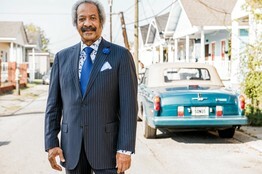 Allen Toussaint in front of the home on College Court where he and his family lived in the Gert Town section of New Orleans. The house now bears a plaque recognizing its role in music history. For the first 24 years of my life I lived with my parents in Gert Town—a poor section of New Orleans that was rich in spirit. All my young memories are in that dingy-blond 'shotgun' house on College Court. They called it a shotgun house because you could stand in the front and shoot a shotgun straight through it. That's how small it was. The house had a front room, two bedrooms and a kitchen. My older brother, Vincent, and I slept on a Duofold sofa that opened to a bed, and my older sister, Joyce, slept in one of the two bedrooms. Everyone in the neighborhood knew each other. If your mother forgot to leave you the key to the front door, you bothered your neighbors, since everyone's skeleton key worked in all the locks. When I was 6½ years old, my aunt's Story & Clark upright piano was brought to our house for my sister to play. My sister took several lessons but didn't take to it. Her teacher used to hit her hands when she made mistakes. Eventually I started touching the keys and picked out melodies that I had heard on the radio. Soon my sister showed me how the notes on the keyboard corresponded to music on the page, and I started making up songs. Mr. Toussaint in his childhood neighborhood. Our upright wasn't much of a piano—it was a half-step flat the entire time we owned it—but that piano was everything to me. It was dark mahogany, almost black, with rouge crimps all over it. I took about eight piano lessons before my teacher gave up on me. I loved boogie-woogie and hillbilly music and gospel too much. Everything changed for me when I heard Professor Longhair, a New Orleans blues singer and piano player. I dropped everything, and just played piano and wrote songs. Fortunately the radio was very close to the piano, so I could turn the dial, listen and play along. I stayed on the piano all the time. When company would come over, my mother had me come out to play a boogie-woogie. The first song I wrote on that piano was a simple little duet for trombone and trumpet. I was about 10. I was inspired by a trombone duet solo on Benny Goodman's "Love Walked In." I never named my song—I wasn't that bold yet. I've not heard it played to this day. I wouldn't even know where it is at this point. At home, I was treated royally, and my parents were very encouraging about my playing and composing. My parents—Clarence Toussaint and Naomi Neville—loved each other very much. I felt loved and even liked. We all felt we belonged to each other, to our family, instead of to the outside world. My daddy was a mechanic on the L&N Railroad. He fixed locomotives. He was strong-willed and a strong man physically. He loved fixing things. Anything that was broken in our family came over to our house for repairs, including cars. My dad and I talked a lot. He was a very serous, wise man. I beat him at checkers only once. It brought a smile to his face. One day when I was 13, I went into his bedroom where he was reading and showed him a trombone part I had written. My dad had been a professional musician but had to drop the trumpet to get a better job and take care of his family. He didn't improvise but he could read music. My trombone part was for a small ensemble: trombone, trumpet and sax. When my father looked over the music, he gave me a compliment that from then on made me feel very positive about what I was doing. He looked up, kind of smiled and said, "You're a genius." To a little boy that word felt great. On my 14th birthday, I was playing piano and suddenly stopped. I turned my body to the left, straddled the seat and rested my elbows on my thighs. For whatever reason, I said to myself, "I'm 14 and every 10 years I'm going to check back with this 14 year old and tell him how I'm doing." I have no idea how I came up with that, but from then on I had those chats. They don't last long. I talk to myself as though that 14-year-old is still at the piano. I often say how surprised I am at how far I've come. The 14-year old at the piano just listens—but he always seems as surprised as I am. A version of this article appeared September 27, 2013, on page M12 in the U.S. edition of The Wall Street Journal, with the headline: The House With 88 Keys.